Use REAL people, to deal with REAL problems,and you'll get REAL progress! Newspaper Articles on Art Powell's Former Gang, The "I Refuse Posse"
Excerpts and Chapters from, "Traumatic Memoirs - Gangsta: To Be or Not To Be (Book 1)"
F.A.Q's, about Criminal Street Gangs??? 11 Alive News Interviewer "Gang Influence." After a Dekalb County school teacher is incarcerated for murder, allegedly being a gang member. 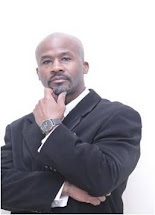 I was interviewed about my life as a former gang leader and how I rehabilitated myself too work with youth and young adults to avoid making bad decisions and choices. Real Talk About The Law!!! 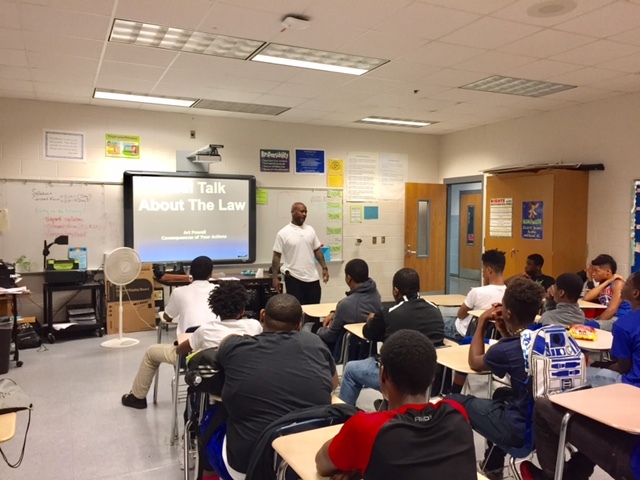 I'm humble and grateful for my 1 year partnership with the United States Attorney's Office (North District of Georgia) to educate and engage youth in our forum: Real Talk About The Law. We've travel to different counties throughout the state to warn youth about the consequences of criminal activity! Here is a clip from my, "Girls and Gangs" presentation in Biloxi, MS on August 4th, 2016! Generational Crime: When A Family Legacy Plays Out Behind Bars. I want to thank 11 Alive News in Atlanta, GA for featuring me and my son Cordovia Powell in this story, it was truly a gift from GOD and chance to see how GREAT of an interviewee my son is. Adult Accountability For Our Youth And Young Adults in 2016!!! STOP COMPLAINING AND POINTING FINGERS AND DO SOMETHING TO HELP CHANGE THE CONDITION OF OUR YOUTH AND YOUNG ADULTS!!! WHAT ARE YOU GOING TO DO, TO GET INVOLVED IN 2016??? The Violence Spreads: Tracing Atlanta's growing gang activity!!! Metro Atlanta is one of the fastest growing populations in the country, but the southern city has a dark underside, according to the FBI. 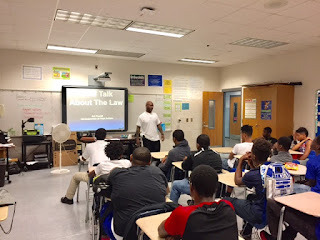 I'm always HUMBLE and GRATEFUL, when I'm asked to share my life experiences and opinions on the influences of criminal activity affecting our youth!!! Here is an interview I was featured in by 11 Alive News in Atlanta. This is the program that allowed me to show people, that I can create, facilitate, and manage a effective program!!! I want to thank: Chief Chris Womack, Deputy Chief Gary Sparks, Lt. Ken Winklepleck, Sgt. Brandon Nutter, our staff, and the City of Douglasville for believing in me and giving me a platform to help our youth!!! May 16, 2015, will be our 8 year anniversary!!! Check out our promo video!!! Website Designed by: Arthur "Art" Powell. Picture Window theme. Powered by Blogger.